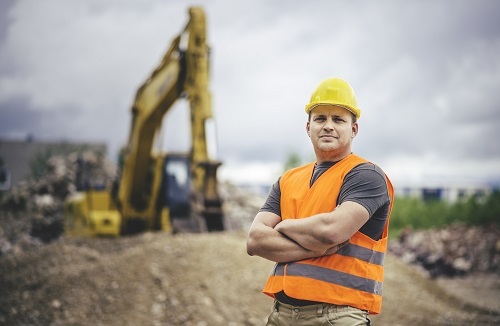 Whether you're considering a new excavator or CNC milling machine, there are several considerations to buy or lease. Your investment in equipment is critical to your business. Whether a single machine is rented, leased, bought, or borrowed can make or a break a company in a matter of years. Particularly for small businesses, looking over contracts, future net profit, and utilization schedules for new gear has become a second language of construction. The main platform of consideration is not cost, but risk, says Mike Vorster of C.E.M.P. Central Inc. Adding to a fleet boils down to betting income against future profitability, a bet businesses make every day. When acquiring new equipment, Vorster says there are parameters to consider that can effectively lower this risk. By examining a business’s net cash flow after tax, its available technology, its future workload, and its overall technical skill, which path to take can become clear. Vorster offered four recommendations that can help protect your equipment investment in a recent edition of CONEXPO-CON/AGG 365 online (learn more at http://www.conexpoconagg.com/subscribe/). Aside from buying, knowing who owns the equipment makes a big difference, particularly when claiming depreciation on taxes. For example, an excavator leased under an operational lease is still owned by the lease house and claimed on their taxes; for a capital lease, it’s owned and claimed by the lessee. This subtle differentiation can push a profitable acquisition into the red come tax season. Most of acquiring new equipment is weighing a business’s ability to lose cash flow against the future profitability of a machine. Purchasing equipment offers pure profits once it pays itself off, but requires intense cash flow loss at the beginning. On the other hand, leasing requires much less of an initial commitment, but the fixed payments kill any opportunity for pure profit. New equipment requires work; without it, losses accrue quickly. A business comparing buying to other methods must first look inward at their future profitability. Without several years of work to give a new machine, the risk increases beyond reasonable levels. Without busy days of full workloads for the machine, cash flow may not overtake costs, fixed or otherwise. Worker ability must factor into the decision. New equipment requires training expenses, because untrained operators lacking in handling confidence will work hesitantly, affecting profitability. It’s important also to consider if the technology is already present in the fleet; new gear may not even be necessary, or maybe prove less uniquely useful than originally thought. No option truly supersedes the other. Smaller businesses may take operational leases of newer technology to give them a competitive edge without needing large initial assets. More established businesses may feel comfortable enough to take leases that end in buying. Whatever path a business chooses, Vorster’s tips help provide clarity needed to make the decision without regret. The next CONEXPO-CON/AGG international exhibition for the construction industries will be held March 10-14, 2020 in Las Vegas, USA. Learn more about industry trends and technologies through CONEXPO-CON/AGG 365 online (http://www.conexpoconagg.com/subscribe/) and attend CONEXPO-CON/AGG 2020’s education sessions.